The 1870 Mt. 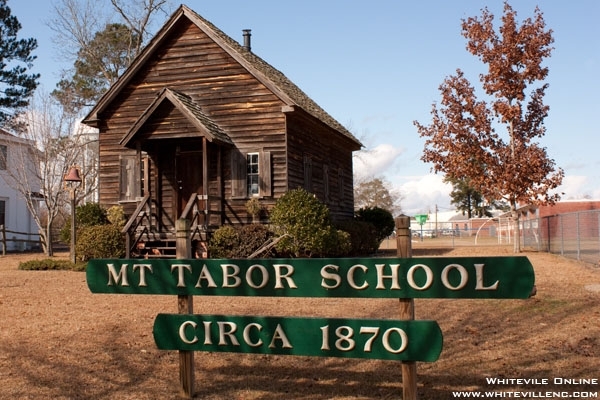 Tabor school house was restored by the historical society of Tabor City and Columbus County. Original photos and textbooks are on display. Call the Visitor’s Center across the street for a tour.